The percentage of women in Turkey’s 600 seat parliament has increased from less than 15 to 17 percent, following elections on Sunday, according to Turkish news website Bianet. Of the various political parties represented in parliament, the Kurdish-oriented Peoples’ Democratic Party (HDP) leads the way, with 37 percent of its deputies being women. Women are considerably less well represented in other parties. Eightteen percent of the ruling Justice and Development Party’s (AKP) deputies are women while other parties fare even worse. The Good Party, which fielded the only female candidate in the presidential elections, is least well represented by women with only 7 percent of its 43 MPs being female. It all began when four women found themselves kicked out of İstanbul’s historic Fatih Mosque in March of this year. The brave four had defied mosque rules and stood for prayer in the area of the mosque allotted for men. Enraged, they decided to take action. When one of the women posted what had happened on social media, over 40 women organized themselves to come together to stand in prayer in front of the area allotted for women at Fatih Mosque, BBC reported. This incident became the catalyst for the ‘’Women in Mosques’’ campaign. The group aims to give women proper space for worship, where they often find themselves in tiny dark rooms next to garbage cans and vacuum cleaners in areas of the mosque that resemble storage facilities more than spots for worship. Among the leading complaints ‘’Women in Mosques’’ has are the lack of ablution - pre-prayer washing - facilities for women, the physical condition and neglect of women’s prayer areas; inability to experience a congregational prayer due to being forced to pray elsewhere and lack of space for women on Friday’s, the Islamic holy day wherein men are obligated to attend prayer. 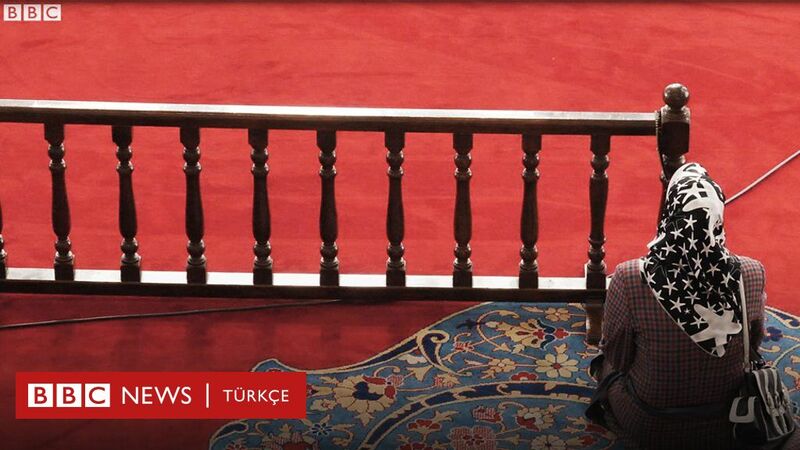 The campaign is hard at work speaking to women in mosques frequented by female worshippers in districts like Fatih and Üsküdar, conducting surveys and gathering information before going to Turkey’s Religious Affairs Directorate (Diyanet) in order to find a solution. Pro-government Sabah columnist Hilal Kaplan addresses the ‘Women in Mosques’ movement in her column today. ‘’I don’t understand people who say, ‘If I can attend classes - side by side - with male friends, then why can’t I pray with them?’ or, ‘Whey are all imams male?’ I don’t get that. And not just as a Muslim woman, but as someone who knows a little bit about social theory,'' Kaplan says. ‘’Being in power is being someone’s subject, not their object,’’ Kaplan says before recommending that youngsters read ‘’a little Lacan, a little Foucault,’’ in order to understand her thoughts. ''I reject the idea that superiority comes from taking a few steps forward or a few steps back,'' the Star columnist adds. İstanbul Fatih Camii'nde kadınlara ayrılan paravanın dışında kıldıkları "dayanışma namazı" ile gündeme geldiler. 6 aydır kadınların camilerdeki sorunlarını konuşuyor, "eşitsiz" buldukları koşullara çözüm arıyorlar. "Kadınlar Camilerde" hareketi üyeleri, son toplantılarını yaptıkları camide BBC Türkçe'den Aylin Yazan'a kampanyalarını anlattı.